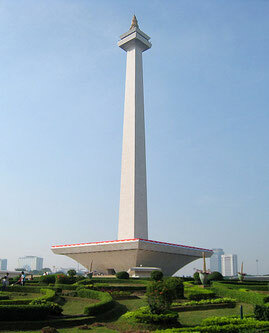 National Monument or the popular abbreviated or Monas Monument is a memorial at 132 meters (433 feet) erected in memory of the resistance and the Indonesian people's struggle for independence from Dutch colonial rule. Monas is an art that we can enjoy from various sides. There are many Monas Area lawn that can be used as a place for recreation with family and friends. Japanese grass is very cared for and clean, so it can be a place to sit while enjoying the ambiance that fits Monas in Jakarta. The most appropriate time for recreation sit on grass is that in hours of the morning and afternoon hours starting around 4pm. 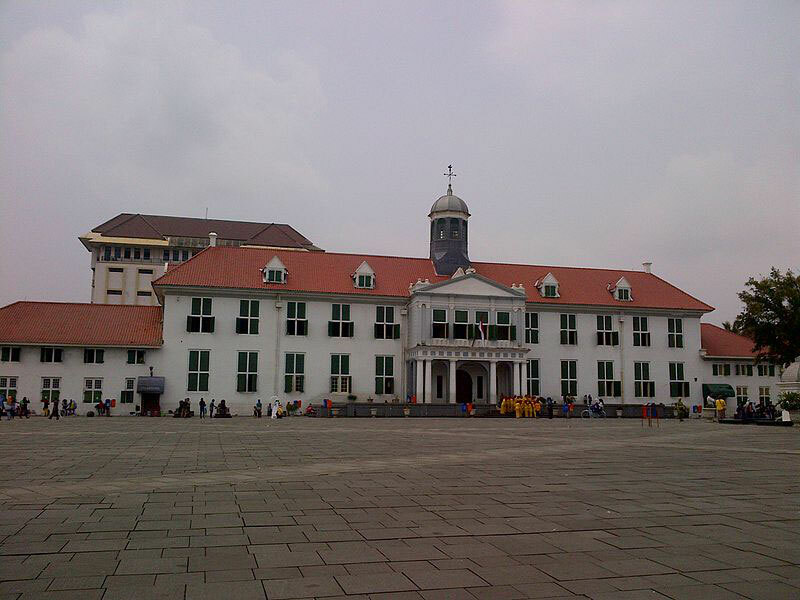 Located history museum dikedalaman 4 meters below the monument, this museum can only be entered through one underground tunnel under the circumference of the monument facing the statue of Prince Diponegoro who was riding the horse. Monas cup itself is the culmination of which was on the 4th floor monument, shaped like a cup candles when viewed from afar. Jakarta Old Town, also known as Old Batavia (Oud Batavia), is a small area in Jakarta, Indonesia. This particular region has an area of 1.3 square kilometers across the North Jakarta and West Jakarta. In the Old City area there are several museums that have collections of historical objects as silent witnesses of the events in the past . All museum in the Old City area can be visited on foot located close together because there are five museums in the Old City area . 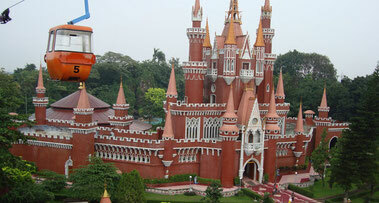 Taman Mini Indonesia Indah ( TMII ) is a travel -themed cultural park in East Jakarta, Indonesia . An area of approximately 150 hectares or 1.5 square kilometers . This park is a summary of the Indonesian culture , which covers various aspects of the daily life of the people of Indonesia ( in 1975 ) is displayed in the pavilion area of traditional architecture , and displays a variety of fashion , dance and traditions of the area. In addition , in the middle of TMII there is a lake that describes a miniature archipelago of Indonesia in its center , the cable car , museums , and the IMAX Theatre Keong Mas Theatre and Fatherland ) , various recreation facilities makes TMIII as one of the leading travel capital city.